I am, by far, the most adventurous person in my family which is why my Grandpa and I get along so well. When I found a write up in Southern Living magazine on a restaurant in Winnsboro, TX, I knew he would be up for it. ciboVino is a family-run, Italian restaurant located on the downtown square in Winnsboro, TX. Blink and you may miss it! However, I was strongly advised by ciboVino’s website to call ahead and make a reservation. I was a bit amused by this, but I was sure glad of it after we arrived. The place was completely packed within half an hour! Once seated, our well spoken, young buck of a waiter (the owner’s son, Brennan) told us all about the specials for the evening. They were featuring a bone-in veal chop with red potatoes and broccollini that my Grandpa could not resist. 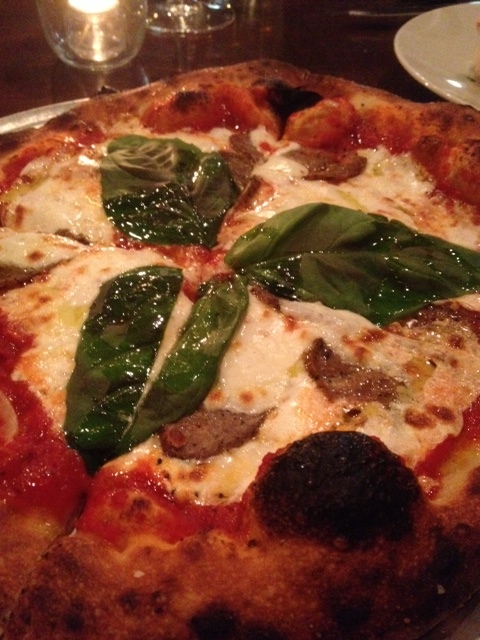 However, because I am obsessed with pizza, I went with my stand by: margherita pizza with sausage. If you make a decent pie, I’m willing to go back. I have to say we were not disappointed. The veal was perfectly cooked and very tender. The homemade pizza was thin, bubbled, and crunchy around the edges just the way I like it. Not the absolute best pizza I have had (that’s only in Italy! ), but a solid choice in the area. I was disappointed they did not offer a wine list, but they may not have the clientele to make it worthwhile. We were offered complimentary red or white wine, but the quality was not the best. 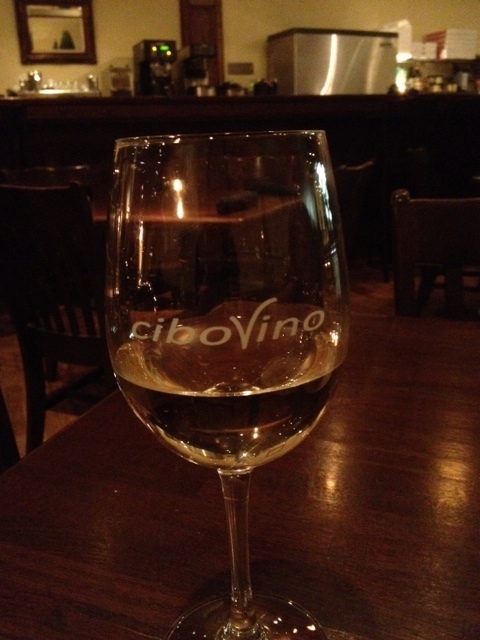 However, ciboVino does allow guests to bring their own beverages and that seems to be the best option. The owners, Rick and Sharon, have taken great care to incorporate the entire family into the business. It was great to see the family taking care of an obviously well-loved restaurant. My Grandpa is already talking about our next visit! I get so caught up in what the city can offer that I forget there are many great places in small towns like Winnsboro. When you step off the beaten path you never know what you may find! For more information on Winnsboro, TX check out the recent article in Texas Highways!